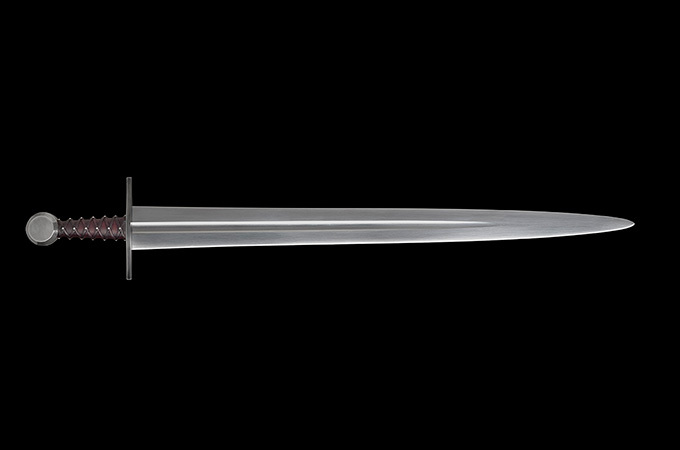 This sword is based on a find from the bank of river Fyris in central Uppsala. In 1896 during construction work on the harbor dock below the rapids at “Islandsfallet”, three medieval swords were found. One of these (with inventory number B72, kept in the archaeological collection of Uppsala University) is the basis for my reconstruction. It is a large weapon with an unusually broad blade (some 72 mm wide below the guard). Because it lacks a part of the blade it is not possible to classify it with certainty. It seems reasonable it is a big type XII or perhaps a type XIII sword. The pommel is of type H and the guard of style 1. A dating to the late 12th century or 13th century is probable. Even with part of the blade missing we can form a reasonable idea of its original shape based on the proportions of the hilt. 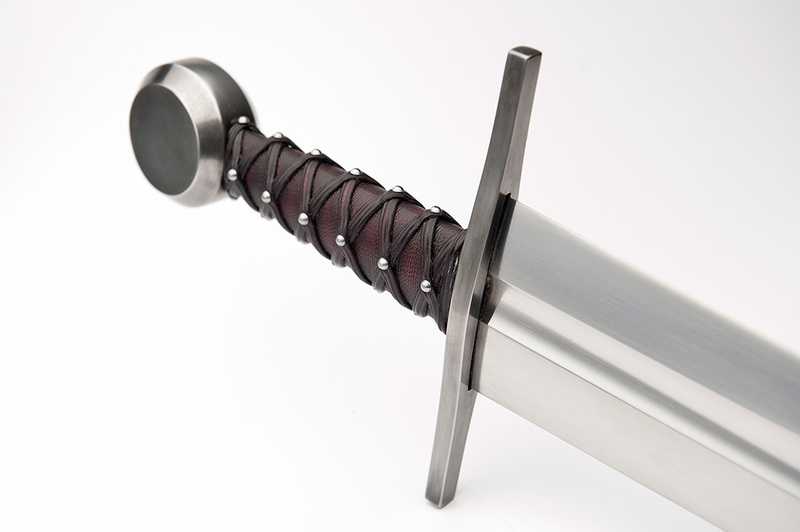 The sword is made to closely follow the dimensions of B72 (to within fractions of a millimeter from documented measurements) and is reconstructed according to a geometric analysis of the proportions of the original sword. A full article about the process of reconstruction will be posted in the Notebook.